A6 booklets printed in full colour onto 130gsm gloss paper as standard. We have a selection of other paper options available, including heavier covers. These A6 sized booklets are a very convenient little brochure. 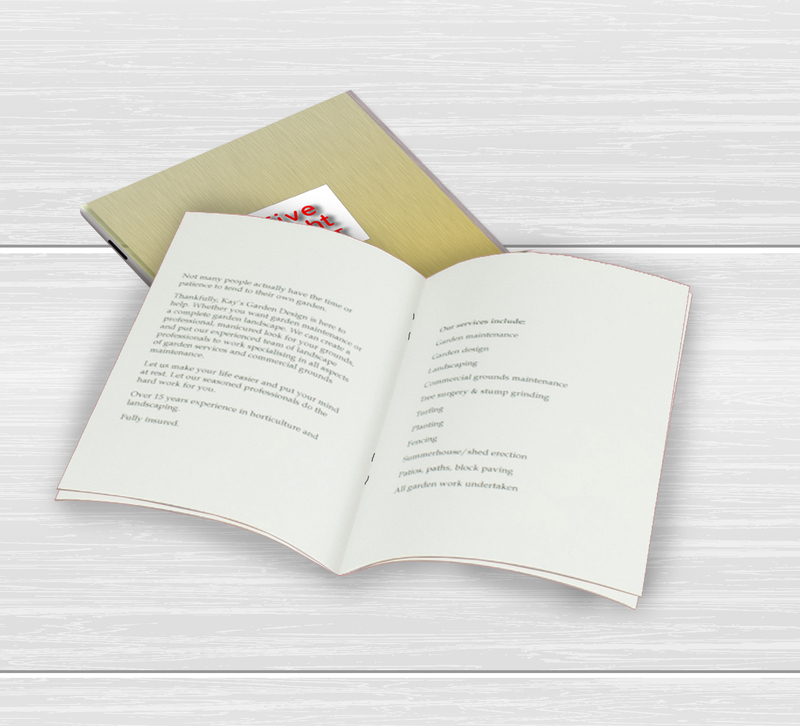 Designed to easily fit in a handbag or pocket, A6 booklets are perfect for a professional promotional tool. The standard stock for the booklets is 130gsm gloss. The cover can be printed onto heavier paper if required. The booklets are saddle stitched (stapled) on either the long or short edge depending on whether a portrait (tall) or landscape (wide) booklet is required. Please supply your artwork as a print ready PDF file containing individual pages (all in pages order), not spreads. Each page to have 3mm of bleed added and set up in CMYK. If you are unsure if your file would be suitable please contact us for advice on 0113 2637127 or email info@five-eightprint.co.uk. How would you like your A6 Stapled Booklets?